Speaking at the 37th Annual Global Media Conference, EA CEO John Riccitiello detailed the games with the most profit potential in fiscal year 2011, with new Crysis, The Sims, and Need for Speed titles and paid DLC making the grade. Riccitiello's presentation focused heavily on the profit potential of EA's existing franchise and upcoming titles. 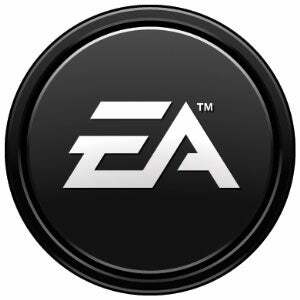 "What we're talking about with Electronic Arts is focusing and building the most profitable possible business out of (our) collection of properties," he explained, before going through a list of what the publisher is bringing to the table in fiscal year 2011, which starts on April 1st, 2010. The recently-announced Medal of Honor and Dead Space 2 made the list of course, as did Crysis 2 and Skate 3, with Riccitiello expressing pride in taking the skate boarding video game segment from Activision's Tony Hawk franchise. EA Sports figured heavily in the list as well, with FIFA, Madden, and Tiger Woods golf joined by the mixed martial arts title MMA. Big plans for existing franchises was another running theme during the presentation. Listing off games, Riccitiello included The Sims franchise, hinting at big announcements coming up in regards to bringing the franchise multiplatform. He also indicated big plans for EA Sports Active and the Need for Speed franchise, with new games coming from both franchises. Some of the games listed weren't technically games at all. Paid downloadable content for Battlefield: Bad Company 2, Mass Effect 2, and Dragon Age: Origins were listed alongside the full titles, with the two BioWare RPGs inspiring the hope that one day, DLC sales would generate more income than the games themselves. "These are ongoing businesses. It wouldn't surprise me over time - it probably won't happen with these editions - to generate more in PDLC then in the package." While we'll certainly see more from EA in the coming year, these would be the titles to watch. Be sure to bookmark this article, so if anything on the list tanks you can point and laugh.